As a sponsor of Phantom Regiment's "Show of Shows" Drum Corps International-sanctioned event in Rockford, Ill., the Rockford Register Star ran several features after last Sunday night. Check out the coverage through www.regiment.org. 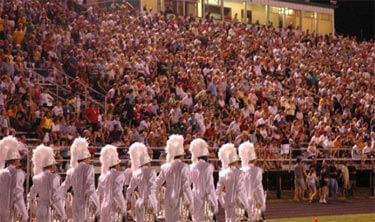 Phantom Regiment takes the field in Rockford, Ill., on July 9.